Is there a rule out there that says a syrup can’t be chunky? If a syrup is by definition a liquid, then chunks of fruit in it must make it a sauce, right? 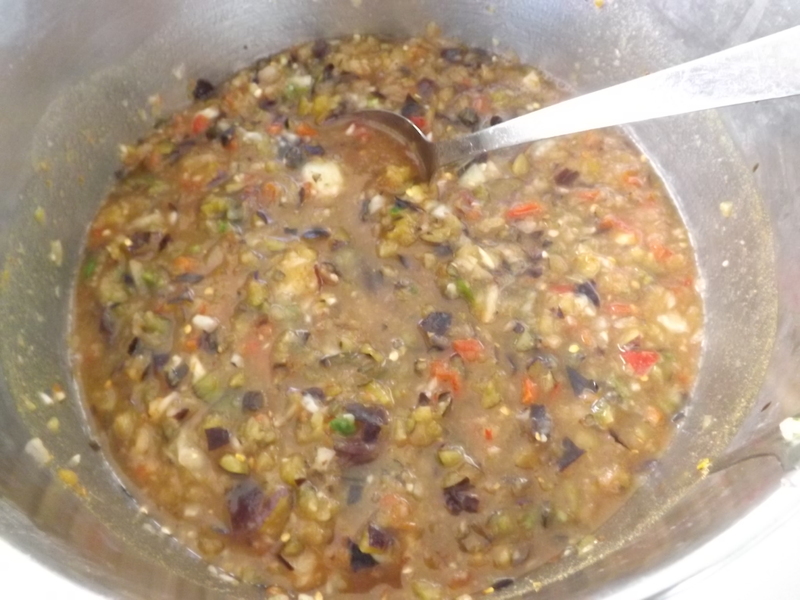 A sauce can be a “semi-solid food” which chunks of pureed fruit could qualify for, but perhaps with so much fruit in it, a spread would be a better description. Spreads are just as they imply, food that is literally spread, usually with a knife. But this “syrup” can actually be poured right out of the bottle. I have no idea what you would really call this, so unless you are a real stickler about what makes a syrup, a sauce, a spread — and let’s not even open up the whole can of worms about the possibility this is a preserve or jam — I’m calling this on a syrup. Mainly because that is exactly what I made it to be used as. It can on pancakes, crepes, French toast, waffles, ice cream and any other place you would use a syrup. Of course, it’s great on toast too — but let’s not start that again. Stem and pit cherries. Place cherries in small batches in food processor and process until fruit is in very small pieces. 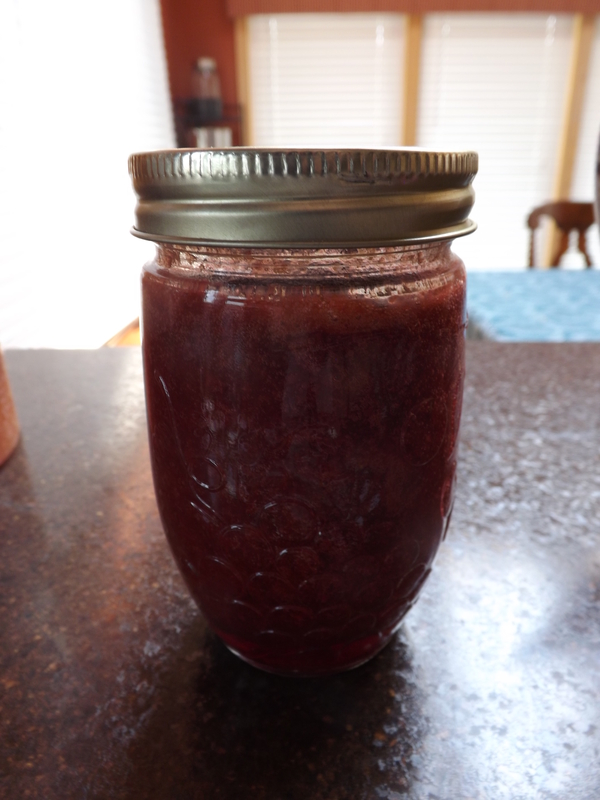 The 5 1/2 pounds of combined cherries yielded 9 cups of pureed pulp. Put cherry pulp in large stock pot. Add sugar and lemon juice and heat over medium heat until near boil. Add Clear Jel slurry and bring to boil. Boil 1 minute. Remove from heat. 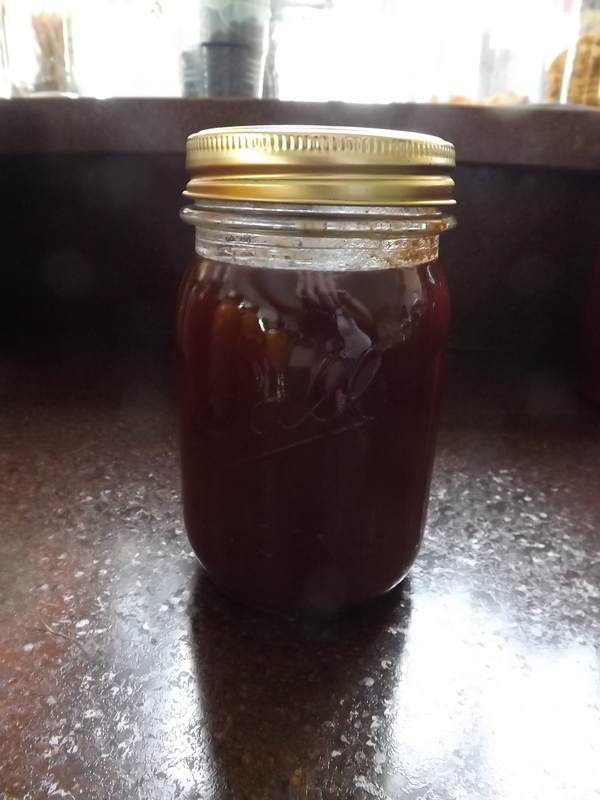 Ladle syrup into hot jars, seal, and process in water bath canner for 15 minutes. What I really like about this recipe is that if I really wanted a true syrup and/or spread, all I would have to do is strain out the pulp after pureeing the fruit in the food processor. Then I could make a traditional syrup with the liquid and a true spread with the pulp. This year however I decided to be a rebel and make a chunky syrup that can be used pretty much as any/all of the above. I love the versatility of canning and coming up with new and fun recipes. Using both sweet and tart cherries was only the beginning when it came to this endeavor, and for this I am — Simply Grateful.